Madonna - Press Clippings - Castellanos Group P.S.C. Lcdo. 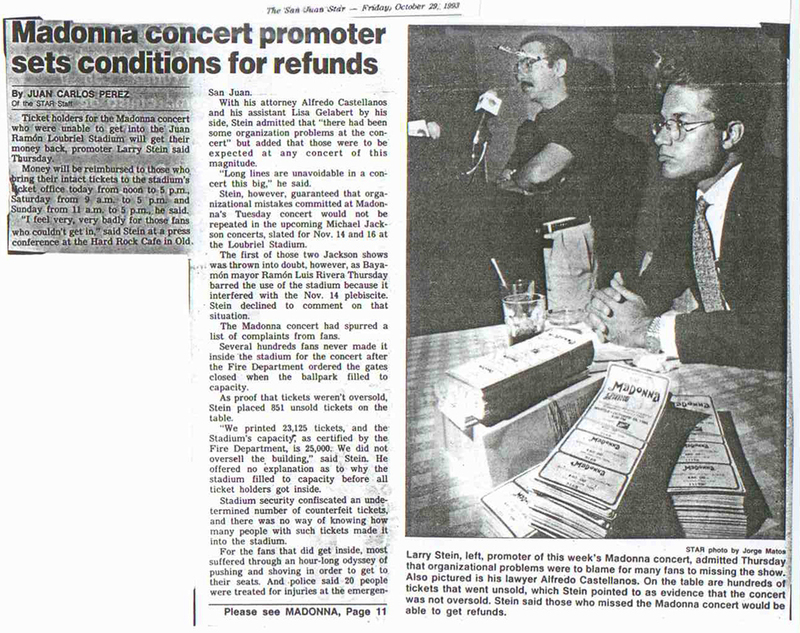 Alfredo Castellanos defends Madonna’s concert promoter, Larry Stein, after an organizational chaos prevented thousands of fans from utilizing their purchased tickets. Mr. Castellanos battles against accusations of having oversold the event, since the building was filled to capacity before ticket holders got inside.